North Korea has demanded an apology from South Korean authorities over the burning of a North Korean flag and a picture of the North's leader Kim Jong-un by conservative groups in the South. 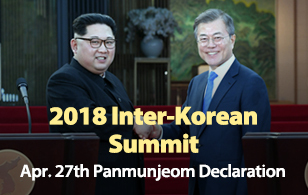 North Korea's Committee for the Peaceful Reunification of the Fatherland, the state agency handling inter-Korean affairs, made the call in a statement on Tuesday. 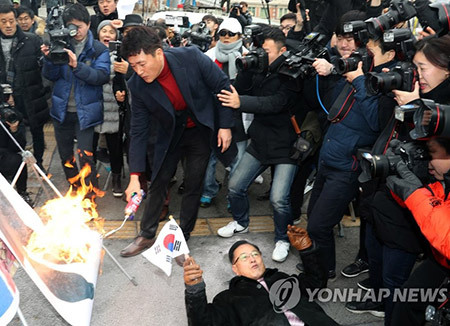 It called on South Korean authorities to apologize over the politically provocative act, punish those involved in the crime and seek measures to prevent a recurrence. The committee said that North Korea will never tolerate the "heinous actions of conservative rascals who have insulted the North's sacred authority and symbols" as well as South Korean authorities who they claimed have turned a blind eye. The statement also warned that Pyongyang will have to seriously consider its future course of action related to the PyeongChang Winter Olympics. On Monday when a North Korean delegation led by Hyon Song-wol, head of the North's Samjiyon Orchestra, arrived at Seoul train station, members of conservative groups, including the Korean Patriots Party, held a news conference at the station plaza. They then went on to burn the Korean Peninsula flag, the North Korean flag and a photo of Kim Jong-un.